OTTAWA – April 1, 2017. 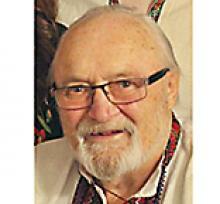 It is with great sadness that the Ukrainian Canadian Congress learned of the passing of an outstanding leader of the Ukrainian Canadian Community, Mr. Eugene Cherwick, of Winnipeg, Manitoba. EUGENE CHERWICK It is with great sadness that we announce the peaceful passing of Eugene Cherwick on Sunday, April 2, 2017 at the age of 80 years. He will be lovingly remembered by his wife of 57 years, Lillian; his children Brian (Mariya), Theresa (Peter), Terry (Lada), Louise (Ernest), and Paul (Jodie); his grandchildren Maria, Jacob, Mark, Sofia, Jaclyn, Anhalyna, Taras, Zoryana, Bohdahna, Andriy, Joseph, Peter, Catherine and Rollie, and one great-grandchild Peter. He also leaves to mourn his brothers Mervin (Cathy) and Sidney, and many nieces, nephews, godchildren, cousins and friends. He was predeceased by his parents John and Mary Cherewyk, daughter-in-law Elizabeth, sister-in-law Lynda, and granddaughter Katrina. Eugene was born in Kamsack, Saskatchewan, spent the early years of his life on the family homestead near Dnieper, SK, and grew up in Yorkton, SK where he attended school, graduating from St. Joseph’s College. Upon graduation, he moved to Winnipeg and began a successful business career, first as a long-time employee of Building Products of Canada. In 1959 he married his beloved wife Lillian. In 1972 he fulfilled one of his lifelong dreams, joining a team of partners as the owners of their own manufacturing plant, Welclad Industries. After 16 successful years, they sold their business and Eugene devoted his retirement years to community service. Throughout his life, Eugene took an active role in community service organizations. As a young man he served as a mentor in the Junior Achievement program, as a manager of his company’s employee Credit Union, and as an organizer of the company’s curling league. His greatest service was to organizations that supported his Church and the Ukrainian community. He was active for many years with the Knights of Columbus, serving in executive roles including Grand Knight, District Deputy, State Deputy of Manitoba and as Canadian representative to the Supreme Board of Directors. He was instrumental in developing numerous new Councils throughout the province. He served on the Board of Directors of St. Paul’s College at the U of M; the Catholic Foundation of Manitoba; St. Vladimir’s College, where he lead a successful campaign to expand the College buildings; and as the President of the Metropolitan Andrey Sheptytsky Institute Foundation, supporting the work of this Centre for Eastern Christian Studies. For his service to the Church he was named a Knight Commander of the Order of St. Gregory the Great by Pope John Paul II. Eugene also served in a leadership role for many Ukrainian community organizations. 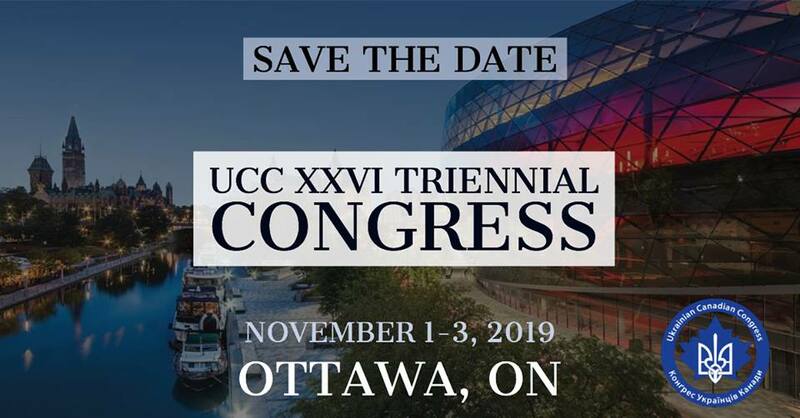 He was the Executive Director of the Ukrainian Cultural and Educational Centre (Oseredok); he was President of the Ukrainian Mutual Benefit Association of St. Nicholas; he was a representative to the Ukrainian Canadian Congress Manitoba Provincial Council. In addition, he was a patron of many other groups, large and small. Throughout his life, Eugene had a deep love for music. He began playing the violin as a boy, and spent many hours playing duets with his father. During his high school years he was the member of a band that had its own radio program in Yorkton. As a young man, he was the member of a number of choirs in Winnipeg. He continued to play music for relaxation throughout his life and could coax a melody out of almost any instrument. In his retirement years he became a member of the South Glen Fiddlers, learning many new tunes and making lasting friendships. But his favourite musical activity was getting together with his children and grandchildren to play music, and to proudly attend any event where he could hear one of them perform. Eugene also fostered a love for art. He helped organize gallery shows for both local artists and visiting artists from Ukraine, and pieces from those shows often ended up in his personal collection. He was especially sensitive to helping out artists in need. Eugene also loved to create his own art. He expanded his natural ability for drawing to include painting in several media and sculpture. Every time he wanted to try a new technique, he would sign up for a workshop or course, and always tried to capture some essence of the subject he was documenting. Eventually he found his niche in the writing of Byzantine style icons. With this work he could combine the technical skills of the art world with the prayerful experience of the sacred world. He was proud to have his icons featured in a number of exhibitions. He was also proud of the work of his children and grandchildren who also took up art and iconography. Eugene’s greatest love was the time spent with family. As a young man he was an old soul and enjoyed hearing the stories of the older generation of relatives. With parents who each came from large families, Eugene had a large network of aunts and uncles and literally hundreds of cousins that he made an effort to keep in touch with. He was lucky to be paired with a loving and supportive wife, and together they grew their own large family. As their family spread around the globe, Eugene and Lil cherished the times that they could be together with them. All of his grandchildren have fond memories of time spent at the cottage with Gigi, either collecting and painting rocks, listening to old records, or picking blueberries or mushrooms. Along the way, Eugene and Lil set up funds so that all of their grandchildren could attend post-secondary schools.